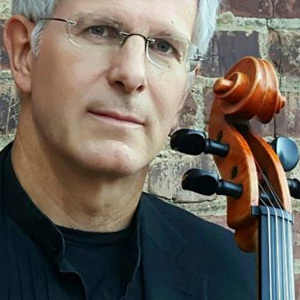 Cellist Gregory Clinton began his professional career in hometown Milwaukee, Wisconsin where he was a member of the Milwaukee Ballet Orchestra and solo cellist with the renowned Skylight Opera Theater. His appointment to the Omaha Symphony came in 1983 by then-Music Director Thomas Briccetti, and in the years since has served as the orchestra's Associate Principal Cellist, Assistant Music Librarian and cellist of the Fontenelle String Quartet. He, too, has held the position of Acting Principal Cellist for five different seasons and has appeared as soloist with the orchestra on many occasions, including featured collaborations with noted vocalists Bobby McFerrin and Karrin Allyson. Beyond his activities as an orchestral musician, Mr. Clinton is both an avid chamber music performer and dedicated teacher. Performances on series such as Joslyn Art Museum's Bagels and Bach, Vesper Concerts at Omaha's Presbyterian Church of the Cross and the Omaha Chamber Music Society's Summer Concerts have been numerous. He currently is a member of the artist-faculty at the University of Nebraska-Omaha, having taught previously at Dana College and the University of Nebraska-Lincoln. He is often engaged as an orchestral and chamber music coach in addition to maintaining his own private studio and gigging Blue Moon String Quartet. During the summer hiatus between orchestra seasons and academic years, Mr. Clinton motors to the great American West and performs as a member of the Grand Teton Music Festival Orchestra, a ritual he has repeated since 1990. He and his wife, Susanna - an art educator for the Omaha Public Schools - enjoy relaxing and recharging by hiking, kayaking and socializing with friends from across the country. Mr. Clinton is a graduate of the Indiana University School of Music where he studied with Fritz Magg. He performs on a fine cello made by esteemed American maker, Carl Gustave Becker in 1937.